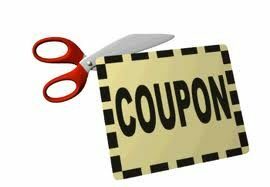 Join our “Creative Cost Cutting Coupon Clippers” and save money and help the Food Bank! Here’s how you can help. 1. Bring in your coupon inserts from the paper. 2. Take come insets home, clip and sort the coupons. Bring back what you can’t use. When you go shopping, but an extra item of that “bargain of the week” for the Food Bank. Drop it off at the Library. 3. If you don’t want to SHOP, maybe you could DROP. Come once a month at the Library, and drop off the items collected to the Food Bank. 4. Donate money. We’ll stretch your $5 Food Bank donation every further with coupons and specials. 100% of your money goes to the Food Bank.